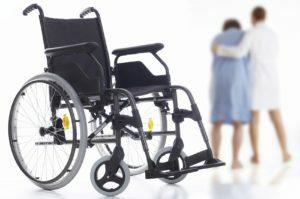 Nursing Home neglect lawyer West Palm Beach: Neglect/abuse of seniors in nursing homes is becoming a common happening and a serious one at that in the United States. A nursing home is a home where our loved ones are being cared for because we can’t care for them enough due to our busy schedule; hence we employ the services of professionals and entrust into their care our fragile loved ones’ lives. How will you feel if, after all the trust repose and money spent on the services rendered by a nursing caregivers, you eventually discovered your loved ones are seriously being abused – oh my-my! See the fact is, it happen every day but there is much you can do to save the situation. This article will rightly show you how you can prevent your loved ones from being abused, signs to notice if they are being abused, types of abused they might be subjected to, what you can do, and how to employ the service of nursing home neglect lawyer in West Palm Beach, FL. Normally, nobody hopes for worst, especially when entrusting the lives of our dear loved ones to the hand of caregivers in the nursing homes. We all hope they will be cared for, treated with dignity and respect they deserve but surprisingly, it turned out otherwise. Statistics showed that about 2.1 million cases of nursing home neglect/abuse are being reported annually in the United States alone. Furthermore, it was also established that the unreported cases are likely five times that of reported cases. The question is: How close are your fragile loved ones to being abused? You need to think seriously about this. There are 683 licensed nursing homes in and around Florida which has its largest number concentration in the big cities while fewer numbers scatter around in the smaller towns. If you are not really observant, it might be very hard for you to recognize the symptoms of abuse/neglect by caregivers in nursing homes because your loved ones may not speak up. Abuse varies from failure to administer medication at the right time, malnourishment or dehydration, and unkempt living condition. Other is emotional neglect like being treated as an outcast from others, ignored or left alone to his/her fate. You should speak up immediately you notice your loved ones in the nursing home in West Palm beach, FL exhibited any of the above signs because you are their voice. Seriously, if reported on time, the management of that nursing home might see to it that situation is corrected. But in a repeated case of neglect/abuse, you should consider getting for yourself a Nursing Home neglect lawyer West Palm Beach, FL. Nursing Home neglect lawyer West Palm Beach, will handle the neglect/abuse of your loved ones in a professional way. Please feel free to give us a call for support and inquiries.